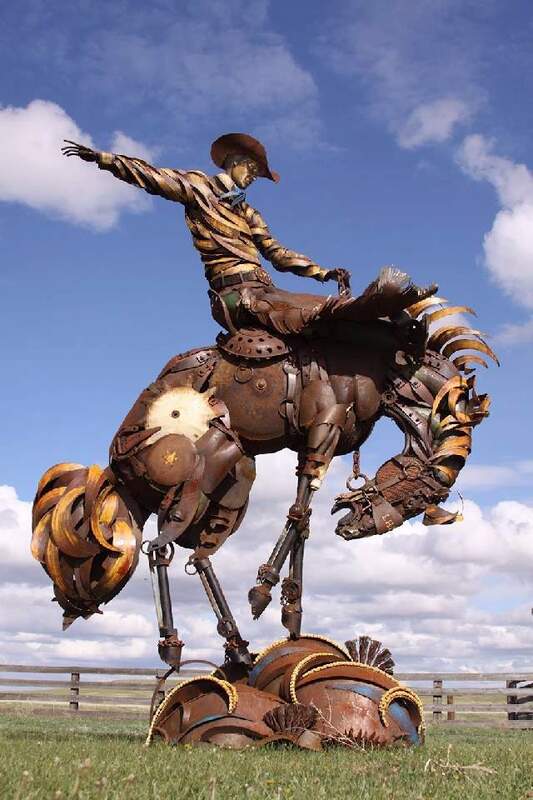 ShangralaFamilyFun.com - Shangrala's Western Scrap Metal Art! 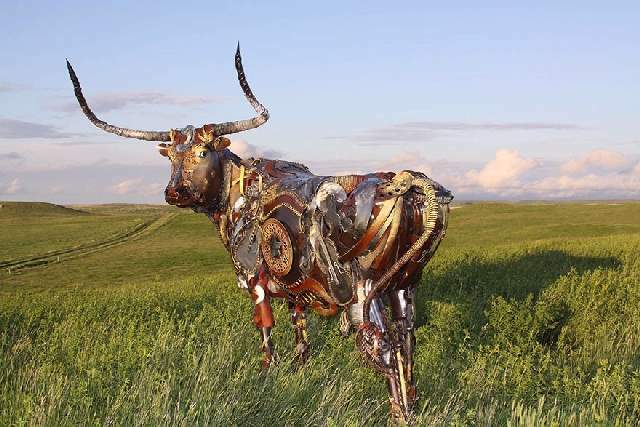 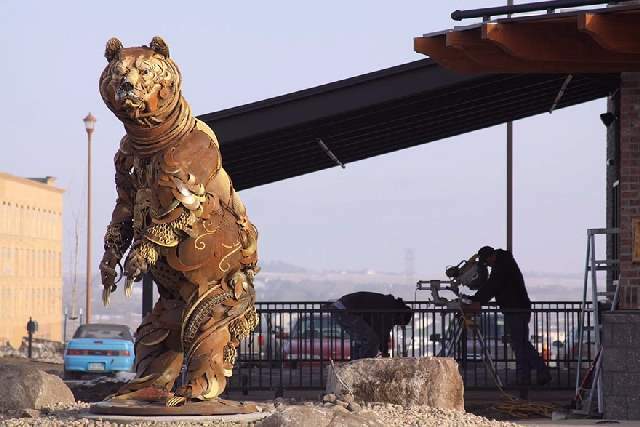 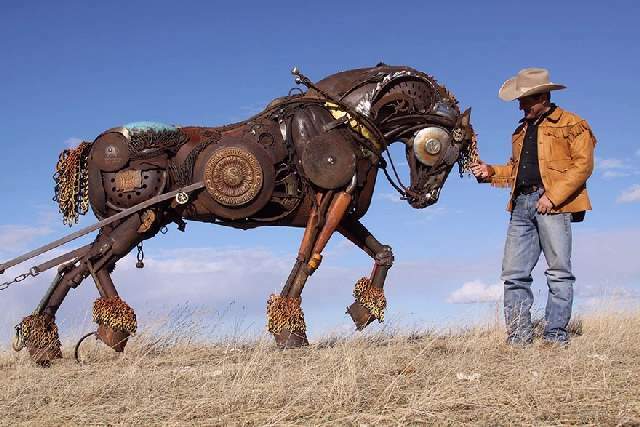 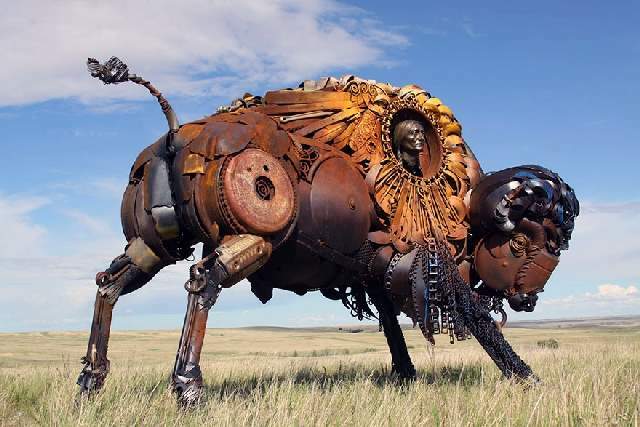 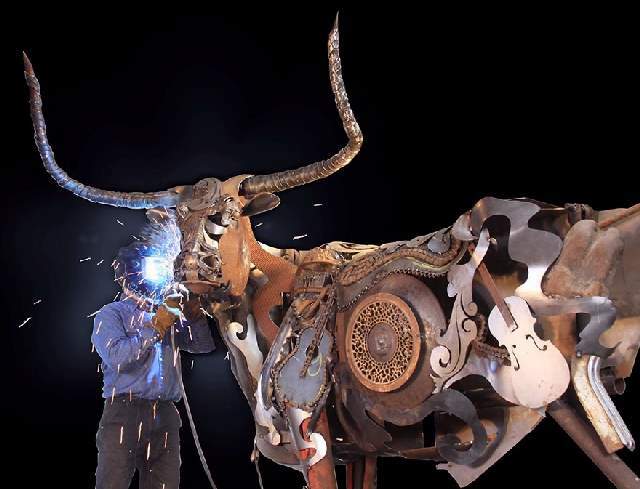 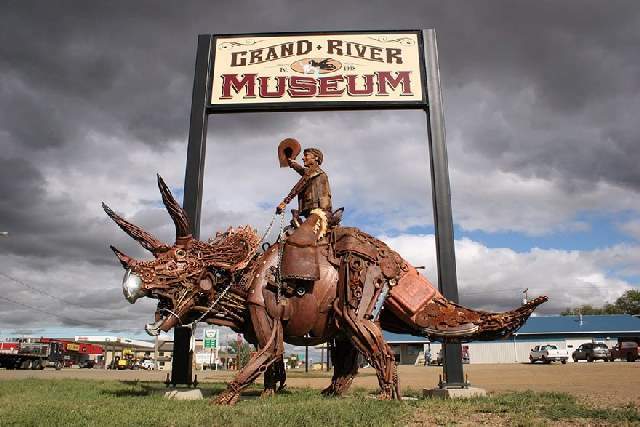 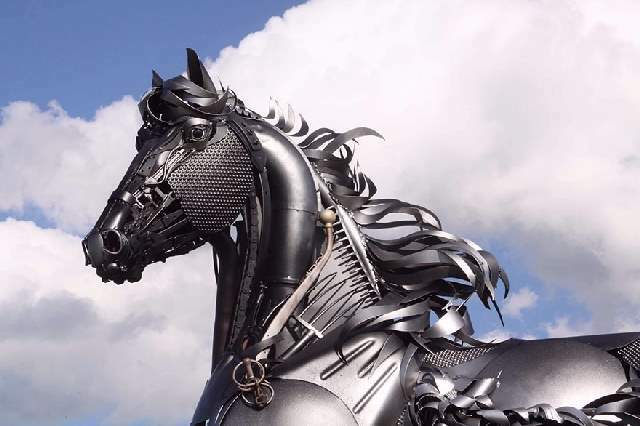 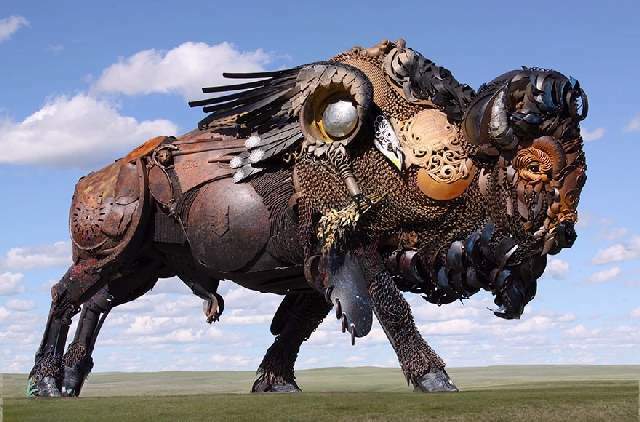 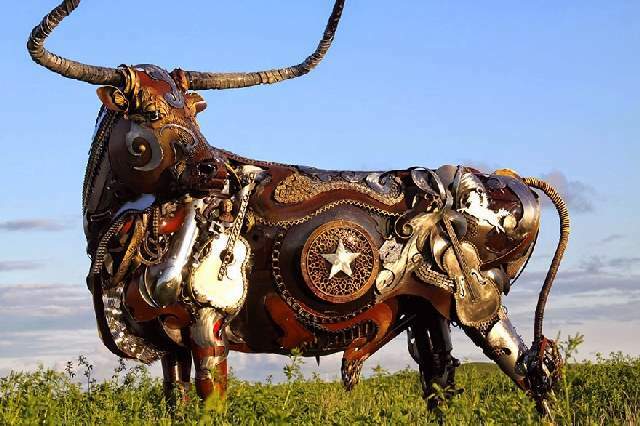 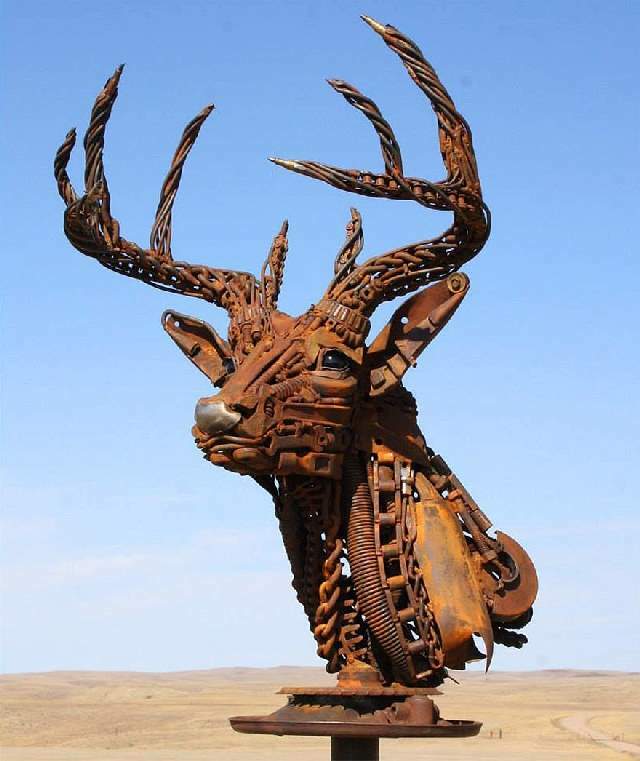 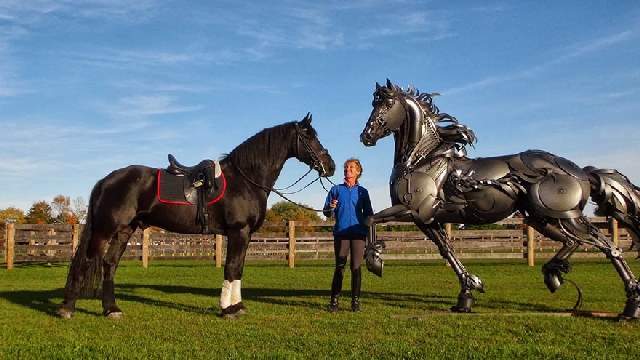 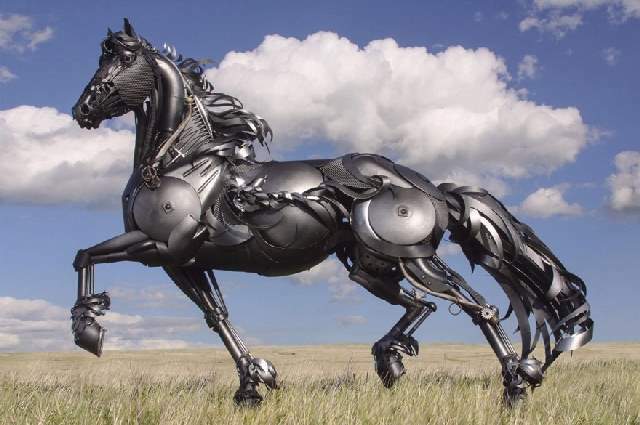 Using old farm equipment and scrap metal, South Dakotan sculptor John Lopez creates stunning life-sized sculptures with a uniquely Western American style. 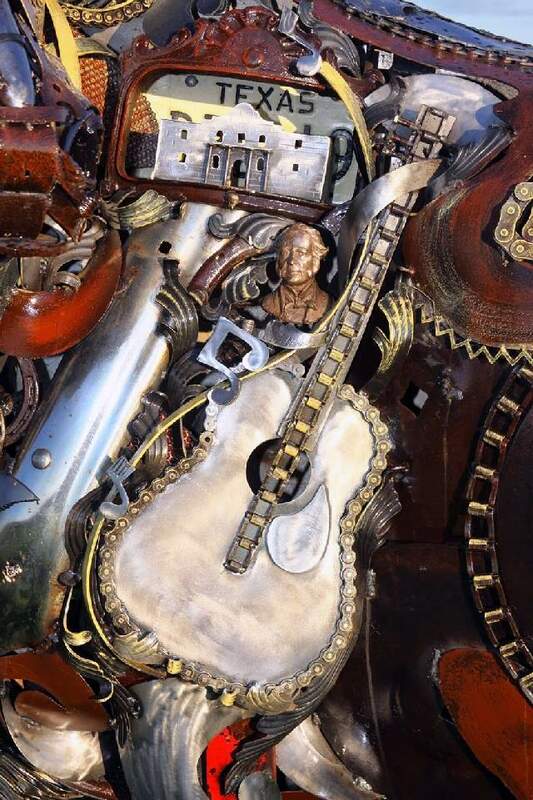 "My favorite part about these pieces is the texture," explains Lopez. 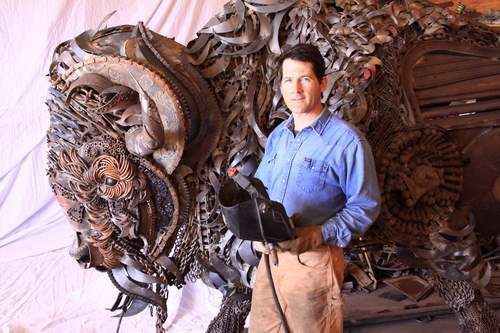 "I just start grabbing stuff from the pile and welding it in, and if you weld enough of the same thing on over and over it creates this really cool texture that I've never seen in these kinds of pieces before. 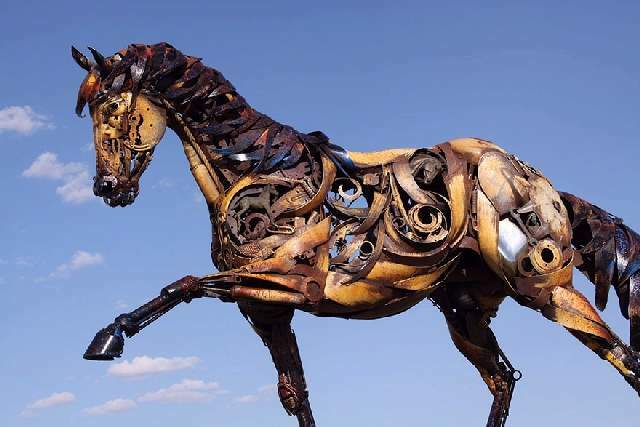 I think that's what draws people in."